In the grand scheme of things, a new “4G LTE” logo is really not a big deal and probably not post worthy. Still, given that T-Mobile’s network is still in the proverbial womb, we take note of those trivial things in the hopes that can hold us over till next weeks March 26th special event and future LTE news. That is all. No ice? I like ice. Yeah this was a lovely update. Browser is super super smooth, Battery life appears to be back on par as when the device was launched. That last Exynos exploit update made the battery less now it’s perfect. The splash screen at start is nice and basically a very good update. Was the screenshot lucky, or does your Note 2 also now continuously show the blinking eye for smartstay? In 4.1.2, it is shown continuously. I thought it was a bug at first. What’s more is that the first pic (the dark one) looks to be of the S3 and not Note 2 (the front camera is lower compared to the ear piece than that of the others). It’s a Note 2. Look at the Home button. is galaxy s2 LTE compatible ? Depends on T-Mobile. They sold a Samsung Galaxy Note and S II without 4G LTE but I know you know the answer whyvfirbthose two devices. Don’t forget possibly the Nokia Lumia 810 and if FCC ever approves Google then the LG Google Nexus 4. I also thought the 8x has the hardware built in for LTE… AT&T’s version does, and it is supposedly identical, chip-wise. Nope. Because that device came out a long time ago before T-Mobile announced working on their 4G LTE network last summer 2012. But I do hope they make a Revamped Samsung Galaxy S II 4G LTE like what they are doing with the Revamped Samsung Galaxy S III 4G LTE on March 26 or April 3rd. It’s not an impossibility, but I highly doubt T-Mobile or Samsung would consider putting out an LTE version of the S2 at this point. An LTE version of the S3 is more than enough. I know, but it was a nice idea in my head lol. Do you know why Samsung took out the numbers on the screen indicator on the S III, Note II & S IV? Only the S II and the Note have numbers indicating the bottom of the home screens. Plus the Note has more room on the home screens to fit tons of widgets and apps where on my Note II, a few widgest and apps take a majority of my screen. Let me know if you have an answer. Thanks. I was wondering that myself when the Note 2 arrived. They gave the original Note 5×5 icon grid functionality, whereas the Note 2 has the traditional 4×4 that most Android phones have. I can’t think of any good reason for it. Hopefully it returns on the Note 3. I know! It was perfect then Samsung had to downgrade it by a bit. =/ Yeah, anxious to see the Note III come out. I’m fine with a 5.9′-6.3′ screen as long as the specs are impressive. And I hope this time, we get a bigger internal storage 16/32/64. Only the U.S. Note II doesn’t have a 64GB storage while Korea I believe has it. The battery is fine but it would be nice to get a bit more juice, maybe 3500-4500mAh. And let’s not forget the camera. I hope to see a 13-16mp and more s pen supporting apps. You know what else I want to see from Samsung? If it were possible for them to partner with Google so we can have a timer on the notification bar telling us the duration of the app we are downloading like in the LG Google Nexus 4 and Nexus family with 4.2.2. That would be nice. No. T-Mobile has nothing to do with the delay of the HTC One. It’s up to HTC to release it to T-Mobile. Whatever issues HTC are having from releasing the HTC One, T-Mobile and AT&T has nothing to do with it. Lol. Just re-read it and and I missed it. Thanks. But yeah, I hope HTC fixes this issue so they can push the HTC One in the U.S. carriers already. I hope T-Mobile gets it first. did you see their statement today? I, too, noticed it on the splash screen after the most recent Note 2 update. I’m also noticing that the “4G” for the data signal looks similar. Looking forward to the rollout here in Dallas. I know! Or I’m going to be one very unhappy T-Mobile customer lol. If we get 4G LTE, we’ll get new subscribers and knock Sprint off taking their place as 3rd and work our way taking AT&T and possibly Verizon eventually. We got Unlimited 4G HSPA+ with no data caps and over fees, 4G LTE coming soon, T-Mobile moving away from the carrier name and no contracts, plus affordable contracts unlike AT&T and Verizon and our previous paid is cheaper than Verizon’s and AT&It’s. Smart people will be coming tobT-Mobile to save money. And to have better quality. Seriously? Who likes paying $120-150 a month just for one phone line on AT&T and Verizon? Lol. Got that right. A friend of mine last year left T-Mobile for AT&T because he couldn’t get a 4G signal in his house(I told him to use wi-fi) and coverage at work. Last month he was inquiring how much I am paying for my T-Mobile service because he is paying more and getting less. After I told him of T-mobile+Metro PCS=stronger coverage after 2015, no more contracts after next week, and plans $40+/- less than what he isnpaying now, he will be switching back after his contract is up. Good to hear your friend is coming back to T-Mobile. A lot of people don’t use their brains nowadays and then they complain when their phone bill comes in lol. I want this T-Mobile/Metro PCS merge to happen already! We want and need more spectrum for our 4G LTE and to switch Metro’s CDMA into GSM. Good to hear that T-Mobile is moving away as a carrier yet will still be one but won’t act as one. They made a good choice and now Sprint has their eyes on T-Mobile because if T-Mobile suceeds on subsides and no contract phones, our competitors will be forced to lower their prices just to compete with T-Mobile. #T-Mobile, #Magent and #Metro PCS for the win! My friend switch from Metro PCS to Sprint. He used to tell me that T-Mobile was bad and expensive and everytime we would call each other his phone calls would drop. Then he would blame me and my carrier lol. I told him I have no problem with drop phone calls calling my dad from the Bay Area all the way to Los Angeles and calling my two three other friends who have Verizon, Metro PCS as well and AT&T. He was just making excuses lol. When he finally left Metro PCS, guess what? No more drop calls when we’re on the phone lol. For me its $60 dollars a month for each line on 4GB shared. There is 4 of us. They will. Just keep in mind that majority of the population in this country live Coastal and in urban and surrounding suburban towns in the middle of the country. The little towns will get bypassed for now. Eventually they will make it to the small towns. 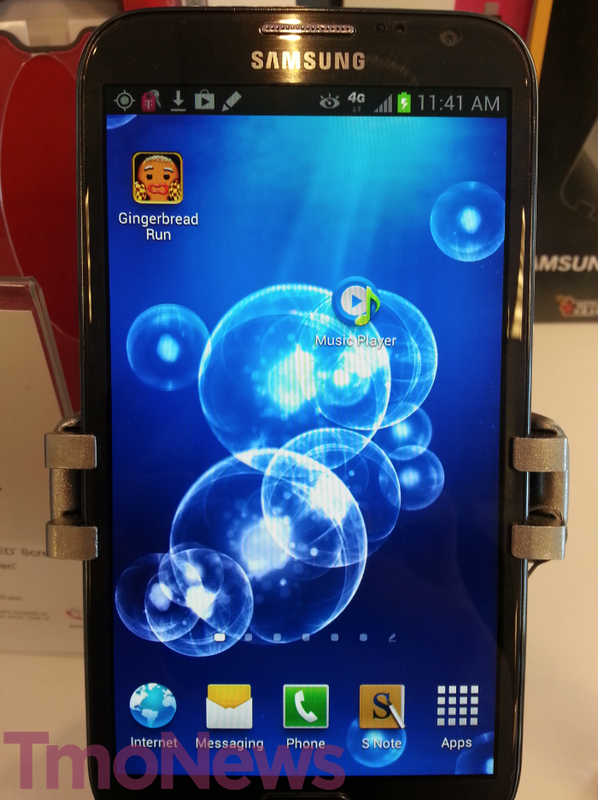 When I first bought a Samsung Galaxy S III, a few days later the eye icon was flashing on the top of my screen. I couldn’t click the home button, power off, move the volumes, nothing I can do but pull the battery off. I don’t know but the eye icon somewhat prevented me from using my phone until I pulled the battery out. Problem solved. But I don’t know what the eye icon is either. Hmm. SO that’s what it was. I thought I downloaded a virus on my phone or went on a untrusted site lol. Thanks! But it never stayed there before the update is what I’m getting at. Try to disable it? I don’t know how though. I want the iphone to come out with the update. I am hoping it will just detect it and the option to turn on LTE will just show up. At least that was what I was reading in support blogs. I bought my iphone factory unlocked so I don’t have the LTE option. I might need that update. I also. The blogs were concerning the factory unlocked iPhone 5. They say that once it detects that the network is live, the option for LTE Will appear. I hope that they are right. Okay I will go along with the information that you are getting. I am baffled as to why a phone with LTE radios does not have the option to turn it on from jump. As for the service it self in NYC, I know that LTE will be around the corner. I live in the Area where that guy was able to get LTE on his Nexus 4.
oh cool next month it might get the ball rolling.it appears to be kicking into 2nd gear in Q2 of the year or so. but I hope i get a lot more than 10mb/s im hoping to at least get 25. No apple needs to push out the carrier file that tells the phone to have the switch when on certain networks. There was a big ruckus in Europe about having LTE networks but the phone not being able to connect because of the switch not being present. Hopefully in the next update apple does it will include T-Mobile for approved LTE networks. I did see that also and there was banter that Apple has to test the network first before they approve the phone to work. So many different answers. You and sirAuron must be right. Will the LG NEXUS 4 use t—mobiles LTE? If you want it to, it will. There are ways. It does. Canada’s phone carrier Roger’s were able to run 4G LTE on the LG Google Nexus 4. Roger’s and a few other Canadian carriers I believe use the AWS band IV for their 4G LTE networks/towers. T-Mobile will be running on only one band in the U.S. and that is AWS band IV. But it is up to Google for us to run 4G LTE on our LG Google Nexus 4. Google released an update about 3 weeks ago which is firmware update 4.2.2 for the Nexus 10, Galaxy Nexus and Nexus 4. You get new quick toggles and it disables 4G LTE for the LG Google Nexus 4 because Google was not approved by the FCC. If the FCC approves Google in the near future to run 4G LTE on the LG Google Nexus 4 then they will most likely release an update to turn on the 4G LTE connectivity in the LG Google Nexus 4. There is one other way to get 4G LTE on the T-Mobile or international version of the LG Google Nexus 4 and that is by rooting your phone and installing an old rom or modem that downgrades your Nexus 4 from 4.2.2 to 4.2.1 enabling 4G LTE. But try that at your own risk. I’ll unlock my LG Google Nexus 4 and see if it will run under my friend’s AT&T sim. Since AT&T also uses band IV but in a few selective areas in the U.S. Same goes for my T-Mobile Samsung Galaxy Note II. Going to try to unlock it too and use my friend’s AT&T sim to run 4G LTE speeds on it. That is, if there is a band IV tower in my city for AT&T. I’ll post it on my YouTube channel. NYCTheBronx. On this very same website TMonews. If you read a few posts back. David blogged about a guy in NYC about last week forcing his LG Google Nexus 4 to run on T-Mobile’s 4G LTE tower or micro cell in New York. He was getting about 19mbps. Yes, it will run on T-Mobile but that is up to Google. Strange? I saw a video on YouTube where a a guy in Canada ran 4G LTE on his LG Google Nexus 4 and he was getting over 40mbps+ on LTE. Now when he tested his IPhone, it wasn’t even getting 10mbps and it was using the same carrier sim. LG Google Nexus 4 has the ability to go up to 42mbps HSPA+. T-Mobile is claiming their new 4G LTE will be going over 100mbps+. Now imagine that on the LG Google Nexus 4? I say it’s possible. I’m updating my other Note 2 device. If you used Kies for this update, how long did it take? My Note’s screen has been stuck on the android robot for about 1.5 hours now. The Kies screen has been stuck on 97%, When I updated my other Note, the status bar was crawling, but continued throughout the update. My 2nd Note flew through the update up to 97%,now it’s just stuck. My windows’ task manager says the program is still running. It depends on your internet connection and how much ram and space you have on your laptop or desktop. Mine took me about 4 hours lol. But the first time I used Kies, the update took me only 10 minutes! That one was for the exynos security patch, 10 minutes. 4.1.2. And 4G LTE, 4 hours lol. So will 4G LTE go live all over the United States, then? Yes but little by little. But that’s up to T-Mobile reaching the suburban areas, country and small towns. Those spots are tough and are getting mostly edge. 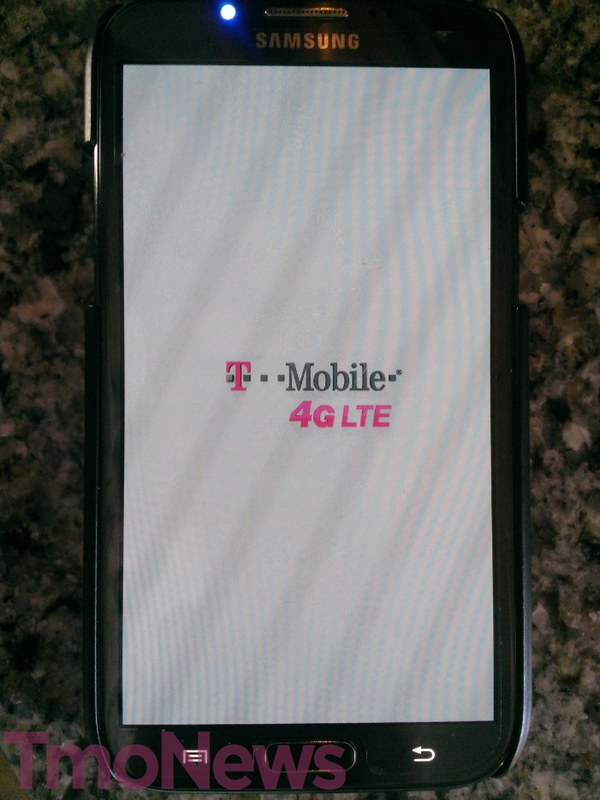 Hope T-Mobile will light up LTE in Los Angeles soon. Do any of you think we’ll be using the same Sim card or T-Mobile will have different one for the LTE capable phones?, because I see the post about people getting into the network with the reg Sims but I’m just wondering. Based on my Note 2, no. You don’t need anything extra to use LTE. That’s what I was figuring, I was just still undecided. of long term evolution (LTE) service in 20131. Lol. Well thanks for refreshing our memories. Now if only T-Mobile will get famous people to advertise. Their phones again. Like Fender, the New York Yankees, U2, Michael Jordan, Chuck Norris, Taylor Swift, Snoop Lion, Ice Cube, Fat Joe, Warren Buffet, Bill Gates, Boston Celtics, SF 49ers, NY Giants, Keenan Thompson, Kel Mitchell lol. I hope dreams do come true. And I prefer Carly in a dress instead! I hope Zeta at least comes back time to time to shoot a few T-Mobile commercials like back in the days. The motorcycle Carly rides is nice but try a Harley Davidson, Mustang, Bugatti sometimes T-Mobile cool. Heck even a speedboat lol. Helicopter was nice. This may be a bit off topic, but will existing plans that say you can use X amount of 4G be compatible with LTE or will we need to get new ones? They add it to your bill if you request a 4G LTE plan. But I think you need to have a 4G LTE phone. Plus they may charge you a small fee to receive 4G LTE. I don’t know how T-Mobile is going to do that for the Samsung Galaxy Note II owners. I hope I don’t have to pay anything but get 4G LTE right away instead of requesting it lol. The thing is, with all these leaked UNcarrier plans, I haven’t seen separate LTE and HSPA+ plans. Not every device people get after the plans come out is going to have LTE, which makes me wonder- maybe there won’t be an LTE restriction by plans. MetroPCS has cheap LTE, so it can be done. Um because that’s what a T-Mobile representative told me on the phone? I asked about getting 4G LTE and they said T-Mobile might charge you a one time fee. Both my parents have AT&T cell phones and they don’t have 4G LTE. You think AT&T will add 4G LTE to their plan for free if they request it? Lol. I think not. Money talks my friend. By that logic, T-Mobile’s rates should be as high as AT&T’s. Reps have been wrong before, and if they said “might,” it most likely means that they don’t know and just made the safe guess. It seems really strange that every detail about the new plans except that would leak, and that they would go through the trouble of updating the Note 2 now if they end up needing to do another update later to tell people who try to activate LTE that they need a new plan. I guess we’ll see in four days, though. Hey everybody.Just got my upgrade to 4.1.2 and the 4G LTE in bold Magenta is FIYA!!! LTE/4G/3G/2G on my Note 2 .Go ahead TMobile with yo bad self!! April 12 people!! I will be happy to get lte but im very happy with my current speeds on my note2. This is the fastest phone I have ever used. So if it comes june or December either way im happy. Maybe im just lucky but when I test my coworkers moto phone with lte us cellular and my friends iphone5 with lte verizon they seem to be similar speed as my note2 without lte. Wow, LTE in two whole cities. Now that’s something to brag about. They’ve already got LTE in almost as many cities as they have HSPA+ 4G. 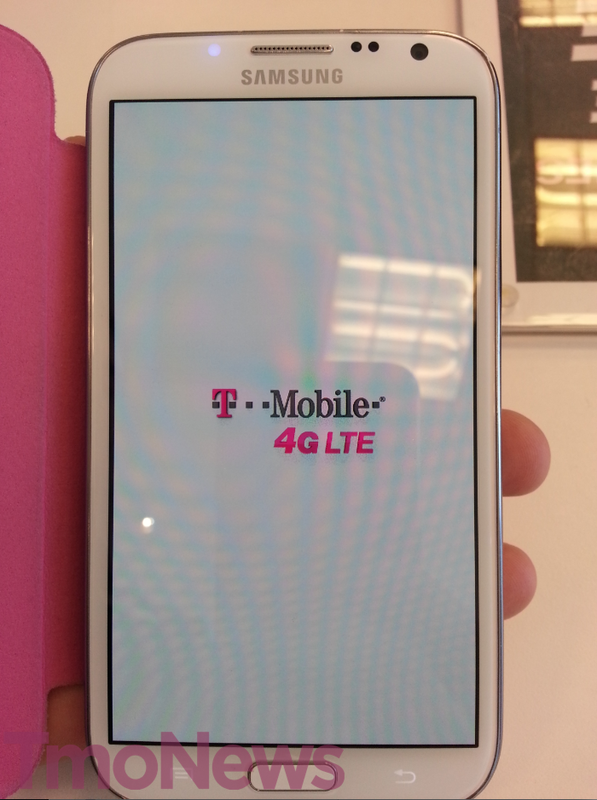 Way to go T-Mobile! You should check your blood pressure. This much salt can’t be healthy. After I updated, I lost the ability to manually keep the network on WCDMA (HSPA+). Inside my building, I get very weak signal so I forced the phone to stay on WCDMA and I got decent (not great) data connection. Now with the update, the phone cannot stay on WCDMA and it constantly jumps down to GSM (2G Edge). Boo-hoo!!!!!!!!!!!! I would like the option to select LTE/HSPA+ without dropping to 2G. open the dialer and enter *#*#4636#*#* and if that doesn’t work, download phone info from the Play Store to force it on WCDMA only. Does anyone know how to contact tmobile to report a bug with the update. The eye icon for the Smart Stay feature constantly stays on and the only way to stop it is to disable the Smart Stay feature in the display settings. It’s very annoying. That’s not a bug, it’s doing what it’s supposed to. Smart Stay on = eye icon. It’s checking for your face to see if you’re still looking at the screen so the screen doesn’t shut off. Smart Stay off = no eye icon. Screen will shut off at pre-designated time. That is incorrect. Before this update the icon for the smartstay feature was not constant. It would show the icon when itwas checking for my face and then if it didn’t see me the icon would go away and the screen would go dark. I know this because I have wached it while putting the phone down on my desk facing the ceiling where it could not see me. And also when the screen has been off for awhile and then you turn it back off the phone will show apps you previosly used (like when press/hold the home button to close apps)….. it’s getting on my nerves.